Sound systems "Words can barely describe the 911 experience. Sound can." 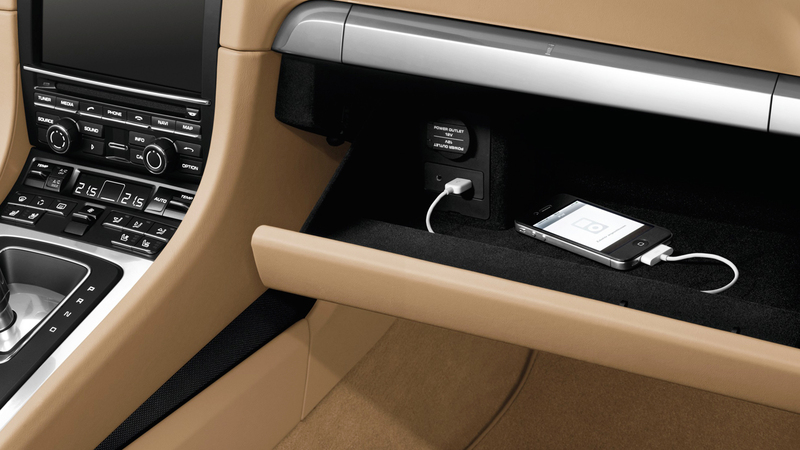 The Sound Package Plus is fitted as standard. The system comprises of a separate amplifier with a total output of 235 watts, 7 amplifier channels and 9 loudspeakers, all of which combine to create the perfect interior sound experience. 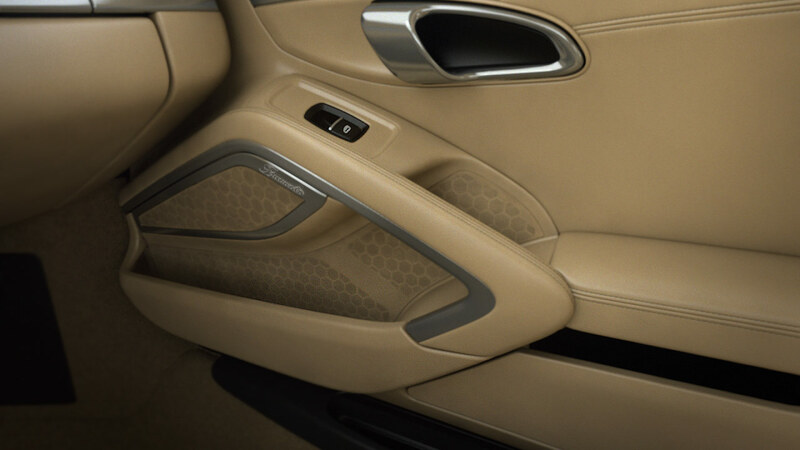 The optional BOSE® Surround Sound System was specially developed for the 911 and is therefore perfectly tuned to the car's specific interior acoustics. 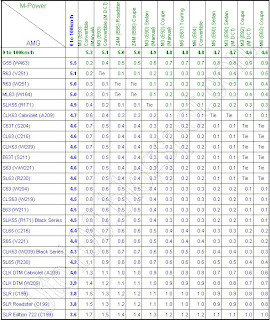 It has a total output of 445 watts and comprises 8 amplifier channels, 12 loudspeakers including a 200-watt active subwoofer. The combined effect is a balanced acoustic pattern that transforms your 911 into a concert hall. 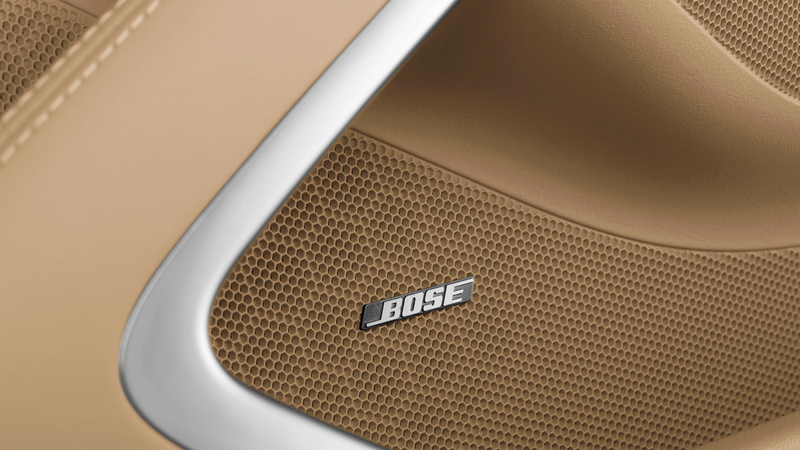 The BOSE®-patented AudioPilot® noise compensation technology uses a microphone to continuously monitor the ambient noise inside the vehicle and adapts music playback instantly and automatically. 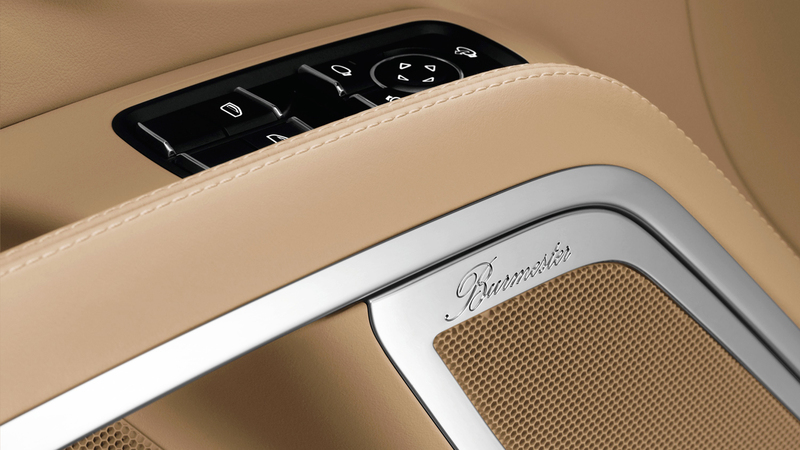 Burmester® High-End Surround Sound System. When two iconic German manufacturers join forces, the result is rather special. We're referring to Porsche and Berlin-based Burmester®, one of the most respected manufacturer of high-end audio equipment worldwide. The result: the Burmester® High-End Surround Sound System which owes its eminence to countless details, and one goal: perfection in sound. Available as an option, this system has 12 amplifier channels with a total output of more than 821 watts, 12 loudspeakers including an active subwoofer with 300-watt class D amplifier, a total diaphragm surface area of more than 1,340 cm2, and a frequency range of 35 Hz to 20 kHz. The special ribbon-based tweeters and perfectly matched loudspeaker housings contribute to a natural and richly textured spatial sound never before experienced in a 911. The pure, sporty design with galvanised surrounds and Burmester® logos on selected loudspeakers makes it clear that the appeal of the Burmester® High-End Surround Sound System is as much about the visual as it is the audio. Typically Porsche.